What power comes to those who wear the temprorary tattoo of the Permanent Record? This is one of life's greater questions but look into the eyes of the inimitable Amy Kaczur who donned a tattoo at the recent art walk... do you now see the power that comes from the tattoo? 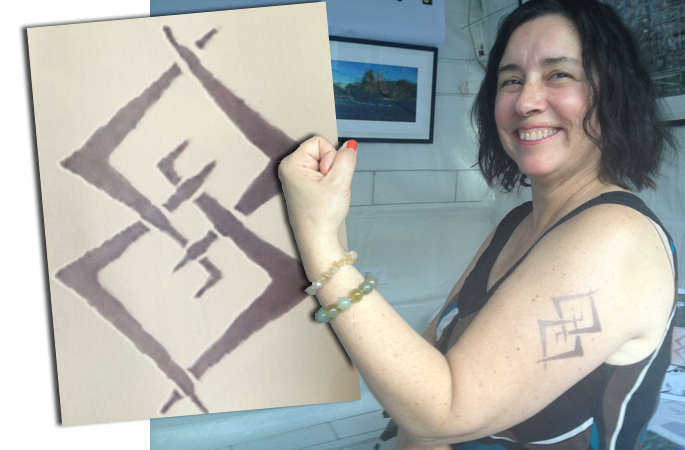 This holiday season, help us spread the Temporary Tattoo of the Permanent Record all around the world. Pick up a quick set of 3 and stuff stockings and spread joy.